The best smart thermostat monitors your home's activity level and adjusts the temperatures accordingly. After interviewing HVAC experts and evaluating 23,000 customer reviews for models that were easy to install, we landed on two smart thermostats that enable efficient energy consumption with minimal effort. We looked at all the features that constituted a smart thermostat. While there’s no agreed-upon definition of what makes a thermostat “smart” we were able to compare various models and their features to come up with our own criteria. Chief among these was the unit’s ability to auto-adjust the temperature. We focused on the thermostats that utilized motion sensors and machine learning — two important features that help the thermostat get more insight into your day-to-day in order to efficiently heat and cool your home without wasting power. We looked for smart thermostats that let us remotely alter the temperature without even being there. Eliminating the need to get off the couch to turn up the heat is one draw, but an app also allows you to remotely adjust the temperature if, say, you realize you forgot to turn the heat down en-route to the airport. Take the popular Nest alternative, the ecobee4, which allows you to turn off your thermostat while you’re away and even schedule times for the heating or air-conditioning to come on. This is all handled through an app and most of the smart thermostats we covered came with this ability to remotely control the HVAC system. If there’s something wrong with your thermostat, that can impact how your HVAC system functions. Unfortunately, most thermostats aren’t going to be able to tell you what’s wrong. However, devices like the Nest Learning Thermostat come equipped with system feedback mechanisms that will notify you when parts need replacing or certain capabilities aren’t functioning correctly to prevent any unexpected HVAC emergencies. This can save you a headache when trying to pinpoint a problem with your system. No matter which smart thermostat you choose you will have to install the unit yourself. This can get a little tricky if your home doesn’t have a C wire or a common wire often necessary to prevent issues like power stealing. We preferred manufacturers that worked to make setup as pleasant and painless as possible. Most of our contenders received positive customer reviews, with Nest and ecobee standing out as the brands most frequently praised. A user-friendly device that’s compatible with most HVAC systems. The ecobee4 is compatible with Amazon Echo, Apple HomeKit, IFTTT, Samsung SmartThings, and Wink. 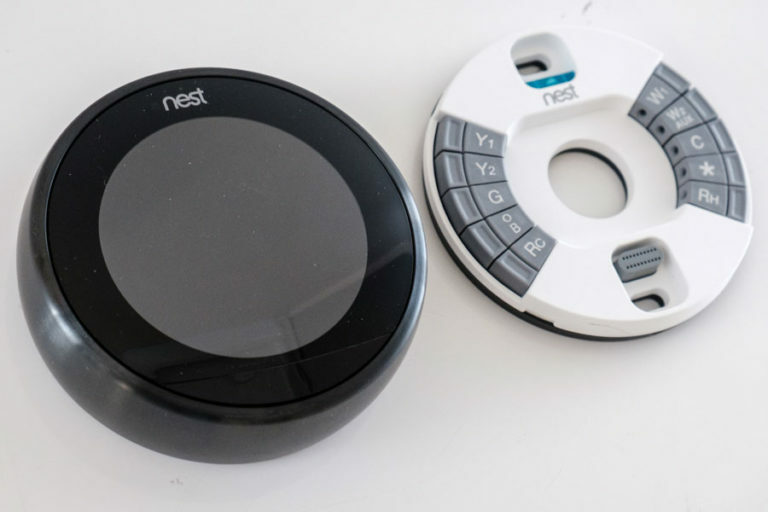 As a result, you shouldn’t have too much trouble integrating this Nest alternative into your existing suite of smart devices. That means that if you’re a real techy and you have a specific system or software you’re comfortable with, ecobee4 will likely be compatible. 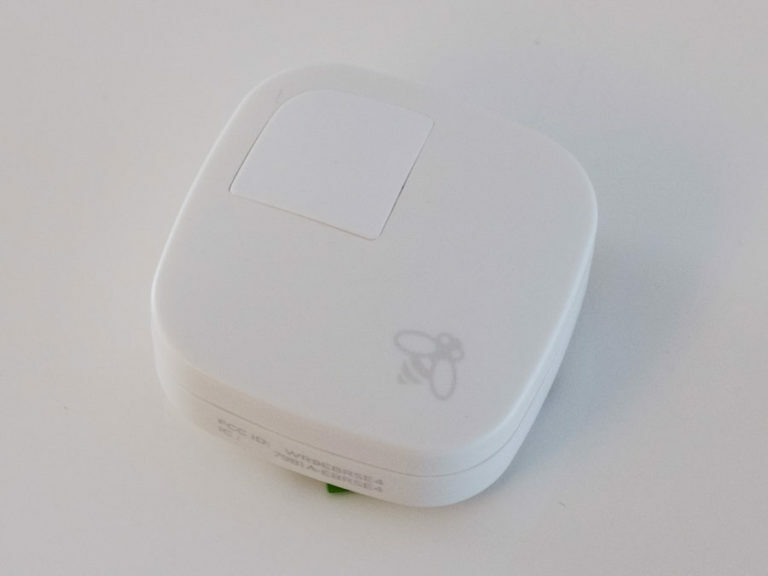 A power extender kit (PEK) is included with the ecobee4 in the event that you don’t have a C wire. This makes installation a whole lot easier, especially if your house is like most and does not come equipped with a C wire. It could also save you over $100, which is what some professionals charge to have one installed. The ecobee's PEK kit makes it more easily compatible with home HVAC systems. The ecobee4 uses geofencing to automate home energy savings: When you’re away, the device knows to bring down your home’s temperature, raising it again by the time you return. 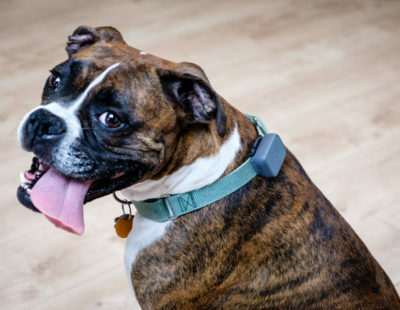 But to further improve accuracy — or if you just don’t like the idea of having your phone tracked — the ecobee4 can also use any of its motion sensors to gauge whether you’re home. 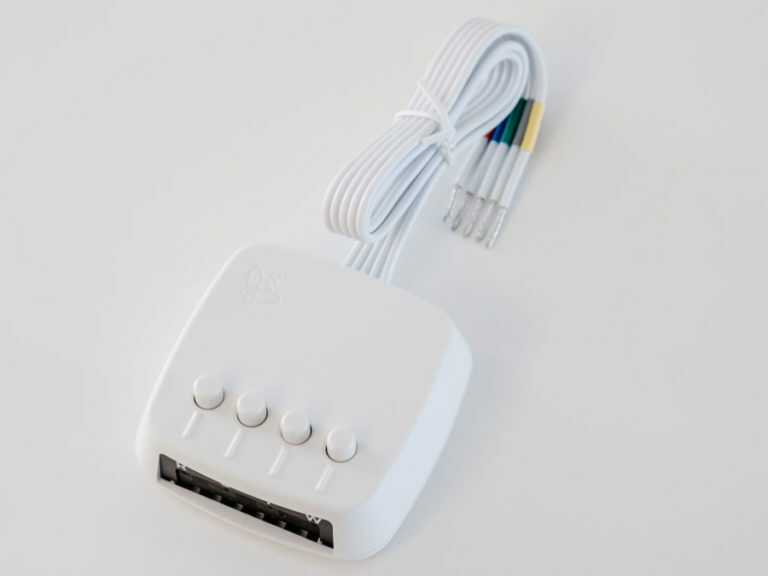 It truly is a learning thermostat, as it adjusts and adapts to your day-to-day activities. The ecobee's standalone sensors help it monitor more than one room. While we mentioned the ecobee4’s near-universal compatibility, it’s been known to struggle with other Alexa-enabled devices. This is especially true when it comes to answering voice commands. However, these occurrences are rare and made even more so by the late 2017 release of an Echo Spatial Perception software update. Appearances aren't everything, but we have to admit that the ecobee4 isn’t quite as sleek and stylish as the Nest Learning Thermostat. In fact, we would even go so far as to say that it’s bulkier with a shiny, black-and-white plastic outside that may stick out against the wall it’s mounted upon. 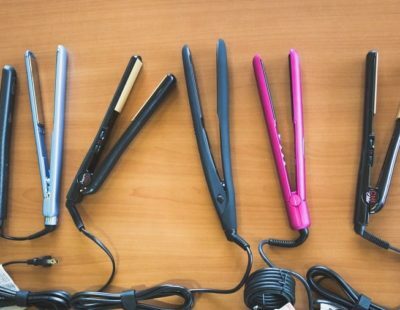 Stylish, and a bit more high-maintenance. May need professional installation. Through machine learning, the Nest Learning Thermostat is able to create a home heating and cooling schedule based off of your existing habits. If you like your home to be warmer when you wake up than when you go to bed, this learning thermostat will actually adapt to your preferences and automatically bring your morning temperature up a few degrees compared to the evening setting. While user cited compatibility challenges as their biggest complaint, they also noted that Nest’s customer support was exceedingly helpful for any non-compatibility issues. If you’re having trouble during or after installation, help is available by phone, chat, email, and even Twitter. The Nest Learning Thermostat is a beautiful device that put us in mind of an iPhone — unsurprising, given that Nest’s founder previously worked as a designer for Apple. The device’s design is sleek and intuitive, and we found rotating and clicking the dial satisfying in a way that interacting with a touchscreen never will be. Yes, the Nest Learning Thermostat can allegedly work without a C wire. However, this can be a little misleading. Upon further investigation, we found that the company’s smart thermostats require power stealing in order to do so. Power stealing is generally something you want to avoid since it can lead to temperature fluctuations and short circuits in the HVAC system. You would either need to have a C wire installed (unless you wanted to risk damaging your HVAC system) or you’d need a PEK (which does not come with a Nest). 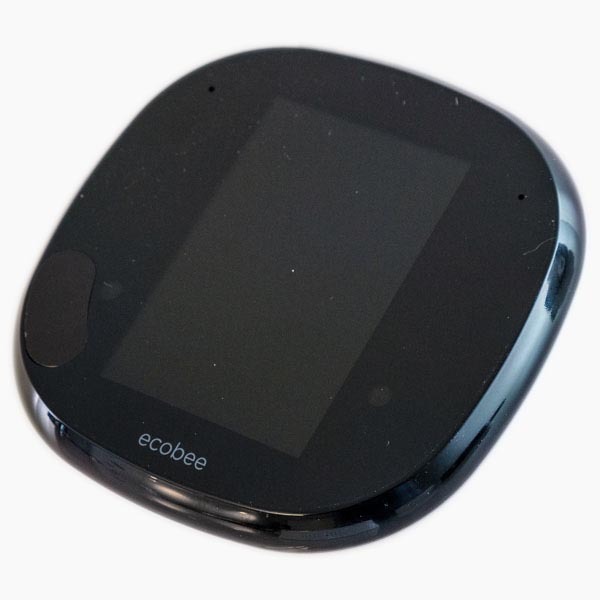 If you're concenred about compatibility, go with our ecobee pick. Notably absent is Apple HomeKit — software developed by Apple that gives you the ease of setting up your iOS device so you can use it to interact with smart home appliances. The reason you won’t find it with this smart thermostat is because Nest was acquired by Google in 2014, effectively turning the product into a direct Apple competitor. But unless you’re a brand loyal to Apple, this isn't a dealbreaker. If you have a C wire, you should be able to install any smart thermostat on the market in just a few minutes. To find out if you have one, look at the wiring diagram on the access cover of your HVAC system, or remove your current thermostat from its baseplate and check for a terminal labeled with the letter “C.” This wire may be in use already, or it may simply be tucked to the side. If you don’t have a C wire and don’t want to pay to have one installed, you might do better with a learning thermostat that comes with a PEK such as the ecobee4. Most of the smart thermostats we looked at come with two warranty options: a standard warranty ranging from one to three years and an extended warranty of an additional two to three years — if the device is installed by a professional contractor. 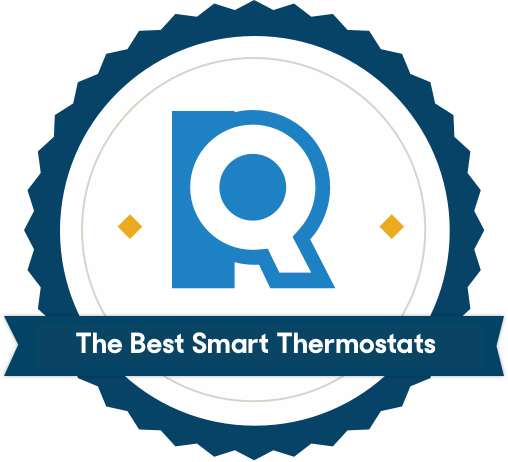 Most manufacturer-approved services run between $100-$150 on top of the price of the thermostat itself. Factor in the value of a warranty and the added cost of having the thermostat installed in order to help you make a decision. Whichever smart thermostat you decide to go with, you will have to deal with data collection. 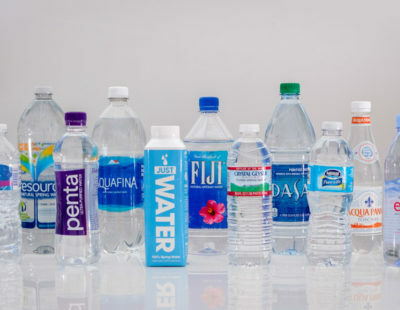 In most cases, the manufacturer will have access to a significant amount of data about your personal behavior patterns. This can be off-putting to some so make sure you’re okay with your learning thermostat subtly learning more about you than just your temperature preferences. We sifted through thousands of reviews to bring you the best smart thermostat we could find. Of course, your experience will vary and, luckily, you have thousands of customer reviews (discussing thousands of living situations). By spending some time looking at the reviews, you’ll be well on your way to finding the right smart thermostat for you. A smart thermostat can help save money – especially with energy costs. They are known to heat and cool a home more efficiently than a standard thermostat. However, most learning thermostats come with a bit of a learning curve which means you could spend a decent amount of time manually setting things the way you want them before the system takes over. Machine learning and geofencing can help prevent energy waste by not activating your HVAC system when you are away. How much does it cost to get a smart thermostat professionally installed? Expect to spend $100-$300 if you decide to have a smart thermostat professionally installed. In the case of the Nest Learning Thermostat, a basic installation can range from $99-$250. Smart thermostats like the ecobee4 are pretty easy to install so you might want to spend some time with the instruction manual and save that couple hundred for yourself. Of course, there are perks to having a smart thermostat installed professionally as it can impact the warranty on the unit. How do I prevent my smart thermostat from collecting data? Unfortunately, you will not be able to prevent your learning thermostat from learning about you. Manufacturers collect all kinds of data including your address, weekend routine, and even your commute. You can, however, protect your data by utilizing a dedicated email address, keeping your smart thermostat’s firmware up-to-date, and using a dedicated Wi-Fi network. Can a smart thermostat be hacked? While hackers could potentially find a way into a smart thermostat, the likelihood is extremely rare. This is especially true with a Nest Learning Thermostat which is one of the more secure devices on the market. 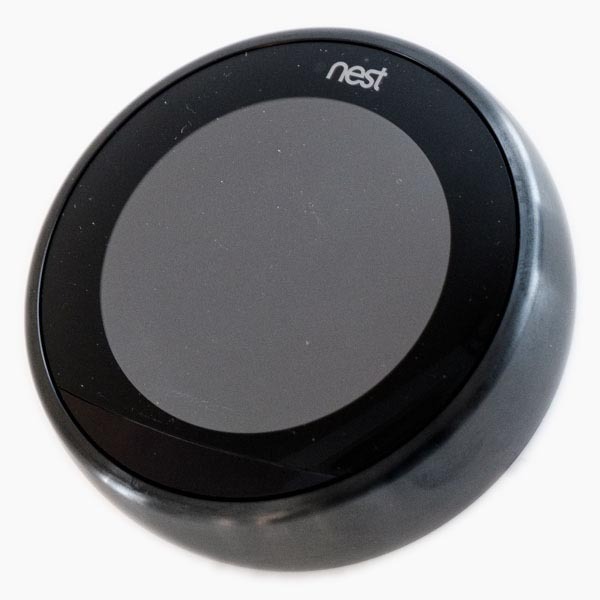 According to Forbes, in order for a hacker to use your Nest thermostat as a way into your other home systems, they would have needed physical access to your smart thermostat. That being said, you should avoid purchasing a used smart thermostat. What are some other Nest alternatives besides ecobee4? We reviewed over a dozen smart thermostats including the Honeywell Lyric T5 and the Emerson Sensi Touch Wi-Fi Thermostat. However, when it came to prioritizing ease-of-use and overall customer satisfaction, we were left with the ecobee4 and the Nest Learning Thermostat.